My last two years of teaching narrative writing have been arduous to say the least, and I am inclined to believe the malleable nature of narrative writing is part of the problem. There’s no hardline rule on how much dialogue, description, or figurative language is enough or too much—it just needs to feel right. Nowhere can you find a guide that lets students know how long (or short) their stories should be (long enough to tell the story in an interesting way, but not too long). 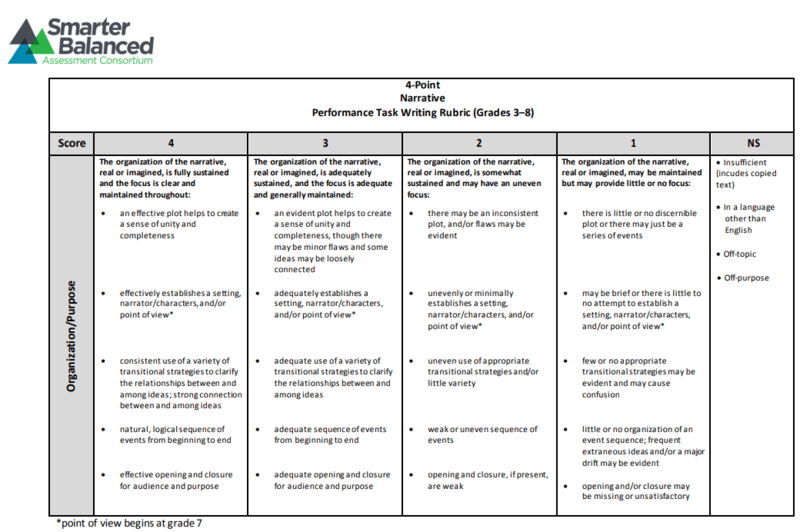 While capitalization, punctuation, spelling, and paragraphing are always a struggle (and improved upon throughout the year), after looking at the SBA rubric, there’s one thing I’ve noticed in the vast majority of my students’ writing: a lack of organization and purpose. 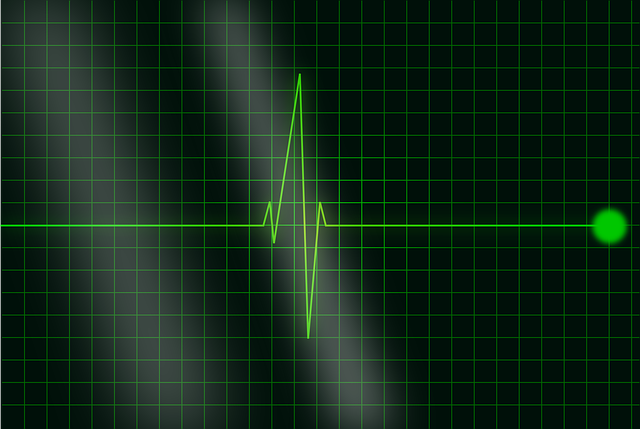 Too often, narratives are bogged down in introductions full of superfluous info, causing the heartbeat of their story to flatline because they rushed both it and the conclusion. Somewhere along the way, students got the idea that they need to provide a backstory when introducing their main characters, listing out: character’s age; hair and eye color; family member names, ages, and genders; etc. Sometimes this information is helpful in progressing the plot, but usually, it is unneeded, and it distracts the reader from the real story. Many students don’t stop and think that if the three brothers they introduced in the beginning of the story don’t have roles to play, that perhaps they shouldn’t be included at all. The worst part about all this unnecessary information is that it can trick the writer into believing that their story is better for it because it’s longer. Some students falsely believe that if they make their writing pieces longer, it somehow shows that they’re better writers. As many of us can attest, our most prolific writers are also some of our weakest writers. This isn’t to say that students aren’t capable of writing longer pieces well, or that weaker writers don’t also produce an insignificant amount of writing, either. Somewhere, there exists a seemingly magical sweet spot for the length of student writing. The trick is figuring out how to help them arrive at that point, while progressing effectively through the narrative’s plot and maintaining purpose in their writing. I believe that if we have students “start with the heart” (read central conflict/climax) when crafting their narratives, they will be more likely to find that sweet spot, while maintaining purpose and improving the organizational aspect of their writing. I’ve decided that rather than having students start their draft writing at the introduction, I’ll challenge students to begin with the heart of their stories. If they focus on the central conflict of their narrative, chances are they will elaborate a bit more, stretching out the small moment with meaningful dialogue, interior monologue, small actions, emotion, and figurative language. Having writers start with the heart allows them to craft their story bit by bit, rather than worrying about the story arc from the get-go. When I shared this idea out on Twitter, it struck a chord with H.D. Hunter, an author in Atlanta, GA, who realized he wanted to become a published author when he was in fourth grade. The fact that so many people resonated with this idea is what inspired me to write this post. What about you? How do you help your young writers organize their writing while maintaining purpose and focus? If you have some suggestions, let me know in the comments!